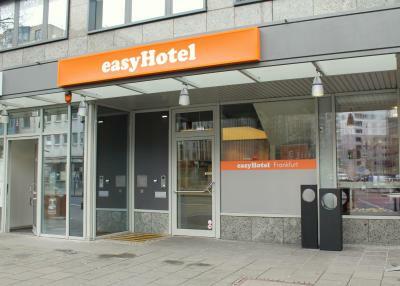 Near Frankfurt main station, clean bedroom and excellent staff. There was nothing I could like in this Hotel at all. It is the most horrible place I ever stayed in. Perfect, nice place, well sited, very comfortable!! 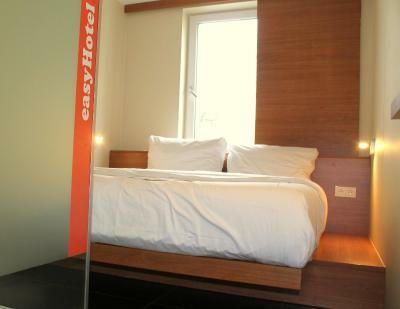 The bed was extremely comfortable and the location was great! 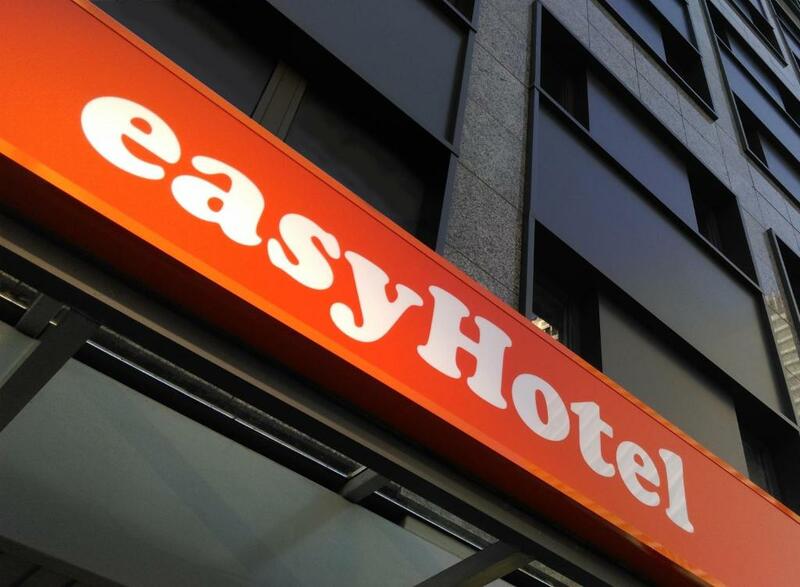 Easy Hotel is a good hotel if you just need a comfy bed (no closet or a lot of space to put stuff). 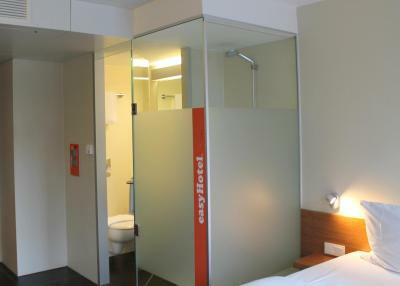 The hotel rooms are very small and designed for single travellers (no door to the toilet! no intimacy for couples) in my opinion. Good value for money still (although you have to pay extra for everything here like cleaning, internet) if you stick to the basics. 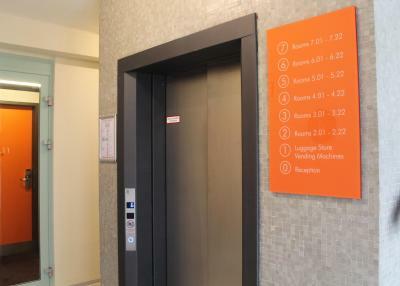 Conveniently located with nice/friendly staff. 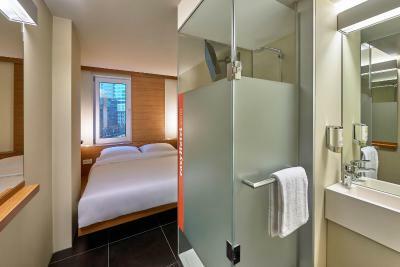 The room is very clean and I like the design of the bathroom. The glass door can fits both toilet and shower place. 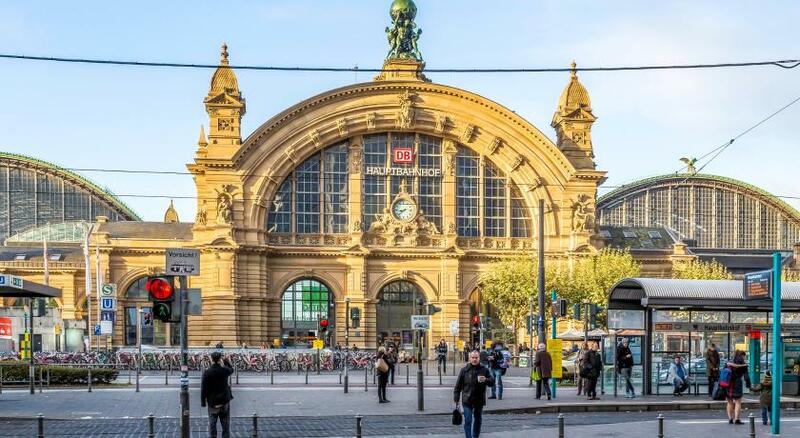 Frankfurt Airport is just 5.6 mi away, and there are direct rail connections from the nearby Frankfurt Central Station. When would you like to stay at easyHotel Frankfurt City Center? 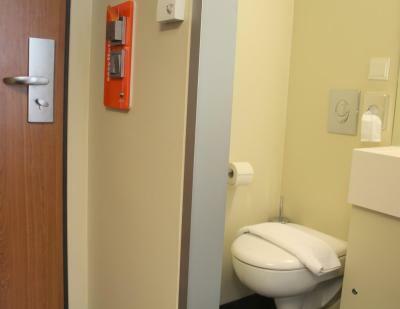 More spacious than the Standard Room, has a comfortable leather recliner chair, air-conditioned room with TV and a private bathroom with shower. Please note there is a charge to access the satellite TV channels. 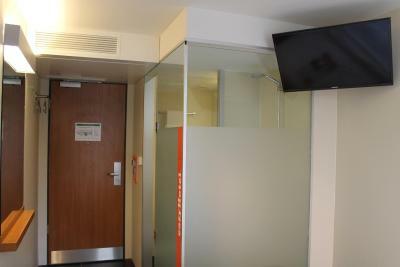 Air-conditioned room with TV and a private bathroom with shower. Please note to access satellite TV channels there is a charge. 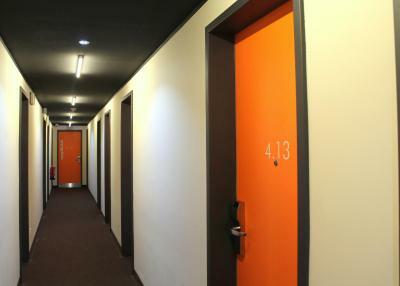 House Rules easyHotel Frankfurt City Center takes special requests – add in the next step! 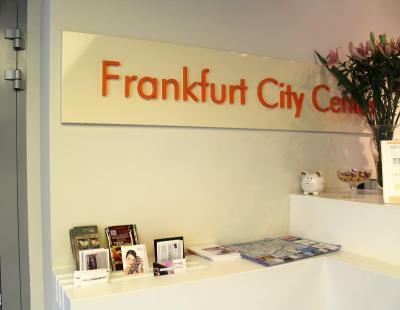 easyHotel Frankfurt City Center accepts these cards and reserves the right to temporarily hold an amount prior to arrival. 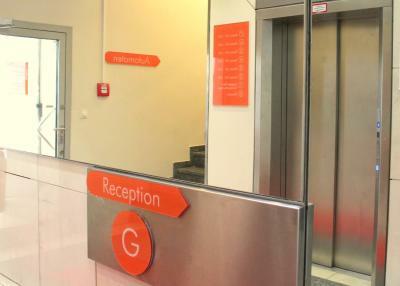 Please note room cleaning during a guest's stay is not included in the rates and is available for a fee of EUR 8. Please note that 100% of payment must be made in advance. Payment is not possible at the hotel. If I was travelling with my wife I would like a bigger room but if we are travelling together I let her pick the hotels anyway. So I got exactly what I needed. The location is superb. Very well connected. A lot of dust in the room which come from bed sheets and blankets. Near the central train station. Location was very good for the music messe & for the station. 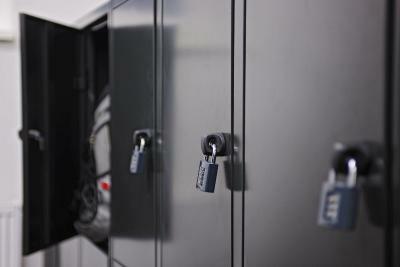 Very small room, and a lot of services are paid, even the TV or lockers to store our luggage. Some streets nearby seems dangerous and a have a lot of homeless people asking for money, due to the proximity of the main train station. 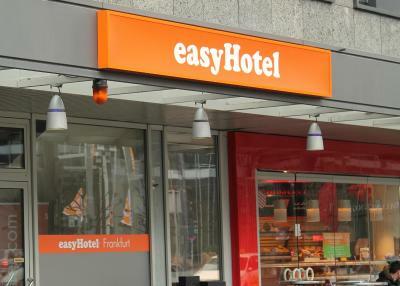 Near Frankfurt HB, the room was clean, bed and shower were good. This area seems dangerous, there are many drug dealers around the hotel. 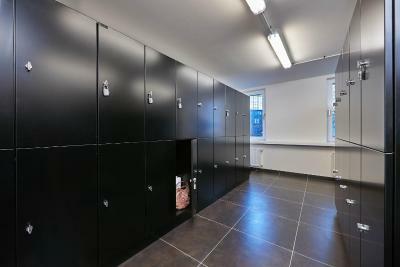 Fully clean, localization close to restaurant, bakery. And bed is too comfortable. extreme good staff, everything was clean, good location. The room was really warm but opening the window wasn’t an option as it’s so loud outside. 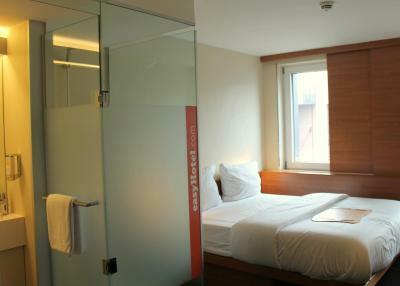 The bedroom is also tiny but I knew this beforehand and for us it wasn’t a problem because the price was so affordable. 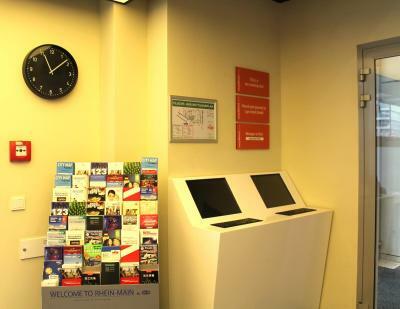 Central location, very affordable, friendly staff and the bed was comfortable.